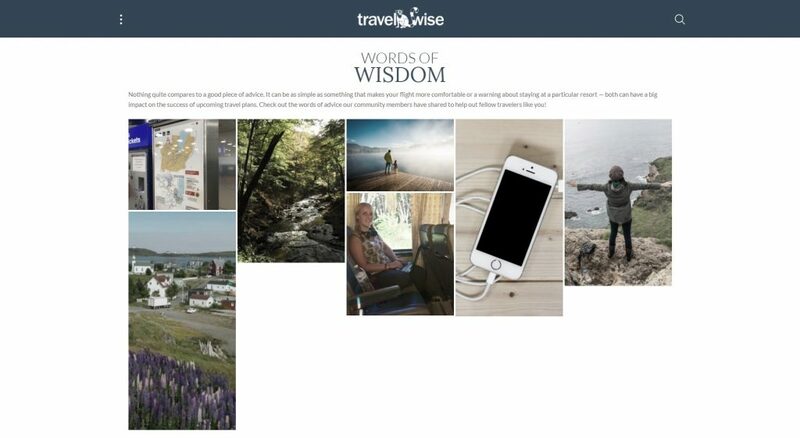 With the launch of Travel-Wise 2.0 in early October came the advent of two new and exciting features on the website: From the Road and Words of Wisdom. Both provide ways for our community to get engaged and share their personal travel experiences. From the Road invites people to share memorable moments from their travels through both words and photos. We then use this content to create a post that features their narrative and photos so other travelers can read about their experience. Here’s an example of a Words of Wisdom post. 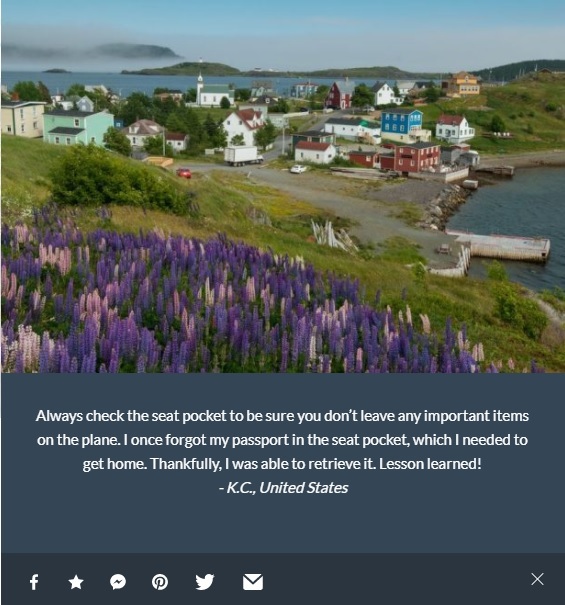 While From the Road involves a full anecdote, Words of Wisdom is intended to be an opportunity for our community members to share a small snippet of advice they have gleaned from their travels. They can also submit one photo along with their tip, which will appear in a slider gallery on the sidebar of articles on the website, and on a category page. It was important to us that we engaged with our audience in different ways, rather than simply relying on social media. We built this beautiful new website, so in what ways could we get our audience to interact directly with it, instead of just on our social platforms? In response to this query, Natasha Devine, the associate product manager for Travel-Wise, developed the ideas for both From the Road and Words of Wisdom. From the Road was born from similar features on NewLifeOutlook and WheelScene, which proved successful in building engaged audiences. Creating a space for people to share their travel experiences would also address a gap for many travelers: not everyone has a travel blog, but everyone loves to share stories about their trips. The idea for Words of Wisdom was to create a feature that people could more easily contribute to than From the Road. People find firsthand travel experience valuable, and while our writers have a diverse set of travel experiences, they can’t possibly cover everything. As such, this feature allows us to present a greater diversity of travel experiences on the website, and highlight niche areas we wouldn’t otherwise have thought to cover. Not only do these features allow our audience to get involved, and thus feel a connection to the website, they also allow users to learn from one another. This adds value to our site, and reinforces it as a resource for our audience of travelers. If our users know they can visit our website and get advice or hear stories from likeminded travelers, they will continue to come back, and even share content with their friends and family. Hearing from our community in such a direct way also helps us to know our audience so we can better cater to their interests and travel style. Anyone can submit travel advice and participate in Words of Wisdom. One of the main goals of Travel-Wise 2.0 was to make the site more visually appealing, since images are a key aspect of the travel industry. Nothing gets people more excited about travel than a high-quality image of an incredible destination. In order to meet these expectations Natasha ensured both features would have a visual aspect to them. People are able to submit their own photos, which are then used as a main design feature. This also works towards lending greater authenticity to the website, because these are real photos from real trips taken by real travelers who use our website. Not only do these photos serve as a draw for people to click on From the Road and Words of Wisdom submissions, they incentivize people to complete their own submissions because they know their images will have a place of prominence on the website. Essentially, we are getting our users involved in building the kind of website they want to see and use.